* Please note: We charge a non-refundable booking fee to secure our services, with the remainder payable on the day of the performance. Contact us for a no obligation FREE Quote! Hire Dancers - Birthday, Holiday, Wedding, Corporate, Special Event Party Entertainment! We are International dancing performers and entertainers available for shows and demonstrations at any type of private party, social gathering, corporate or cultural function, special event or party in Los Angeles, Orange County and San Diego and surrounding areas of Southern California. We have over 30 years combined, international, professional performing and entertaining experience and our resumes are extensive, including being National Dancing Champions, and performing at major International events all over the world! Our event and party entertainment services also include a short group class session (available upon request) for those of you with adventurous guests! Our services are available direct to the public, special event planners, party planners and wedding planners. We perform all the Latin, Salsa and Ballroom dances you see on the BBS Strictly Come Dancing and ABC (American Broadcasting Company) television shows, "Dancing With the Stars", to the highest international standard. All of our shows are choreographed with a mix of all the current, popular dance moves, tricks, spins and dips, as well as slow, sensual and romantic themes. We also have a variety of costumes, themes, styles and music selections to help make our shows really come alive! So call us today for quotes and bookings and let's discuss your party ideas! Hire Dancers for your Party or Special Event! Contact us today to discuss your preferences and requirements for your special event. CALL US FOR QUOTES & BOOKINGS! 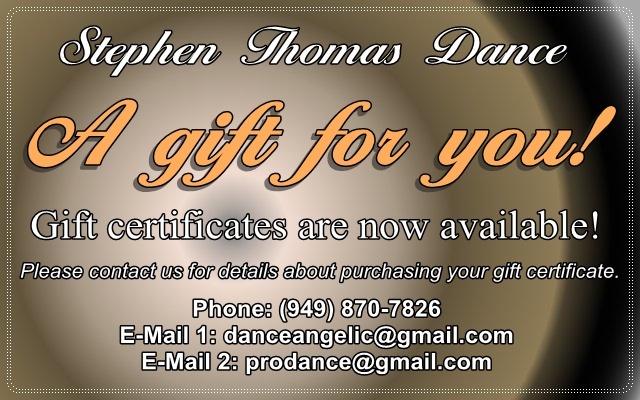 CONTACT US NOW FOR YOUR FREE INTRODUCTORY DANCE CLASS! Numerous scientific studies have been performed showing the aerobic value of Latin Dancing in recent years. The University of Australia found that a Rumba can give the body more tone than running, and a Jive can raise the heart rate higher than a game of squash. In Germany, doctors found significant athletic advantage in dance when they wired the country's 800-meter running champions and its dance champions. Finally, according to the 1991 Steven F. Loy, Ph.D., International Journal of Sports Medicine study, Latin Dancing has the potential to meet exercise intensity criteria regardless of skill level and dances selected. LOSE WEIGHT AND GET FIT! SWEAT, DETOX, TONE YOUR BODY & BURN TONS OF CALORIES! Latin Dance Fitness are Personal Trainers who specialize in Latin American Dancing similar to Zumba. We make losing weight and getting fit fun! Why kill yourself at the gym when you can achieve all your goals with a personal dance fitness trainer. Lose weight, tone your body, add muscle and get fit with our tailored dance fitness programs, all while you have fun learning the hottest Latin dance moves, and party away to hot Latin dance music. We have qualified professional male and female instructors! Contact us now for a personal trainer near you!